An area of South-West London lying within the London Borough of Sutton. 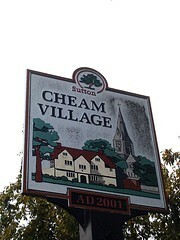 Cheam Village has a very village-like feel, North Cheam is suburbs. Last edited 2016-08-30 19:35:23 (version 5; diff). List all versions. Page last edited 2016-08-30 19:35:23 (version 5).